Amazing castle on the hills surrounding Florence. The original building dates back in the XI century but the entire propriety went through complete restoration in the XIX century. 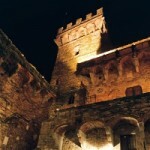 The result was a beautiful castle where the original medieval traits brilliantly merge with the gothic style elements. 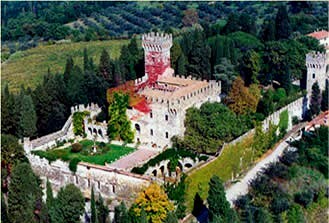 This venue is perfect for all those who want to enjoy the magical atmosphere of ancient castles combined with incredible views of the town; ideal for formal events with seated or buffet dinner, dancing parties, theme weddings and romantic ceremonies. 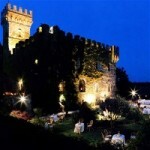 This castle is surrounded by a beautiful Italian garden and an extensive romantic style park. Distance Florence centre 15 min.